Can anyone tell me what the point of a Trolley Bus is? Its just like a tram but doesn't run in tracks, but must drive where there are overhead power-lines. Seems like a waste of time, why not just buy a tram and put some tracks in. The ones in Katoomba don't even have to follow the overhead wires ! A trolleybus is the same as motor bus but with trolley poles and electric power it can pull into a bus stop and pull out of a bus stop like normal motor bus a trolleybus can run on dual power like electric and batteries or electric and diesel like some cities in Europe but a trolleybus has one advantage over motor bus if it solely running on electric power it does not need to refuel dual mode trolleys are used like the ones Rome they use batteries to reach the terminus or in a emergency were dual mode is used for loss of power. I think Trolley buses are cool. I've been able to see them working in Wellington (NZ) and San Francisco (US). 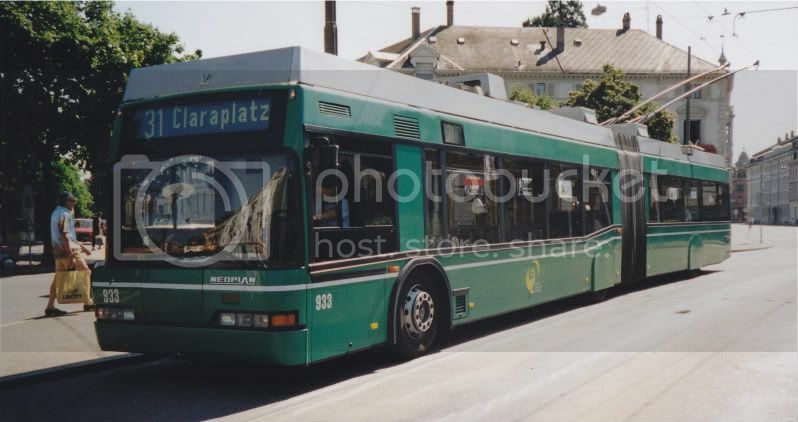 Obviously there are environmental advantages to trolley bus operations over buses powered by diesel or CNG and with trams, buses will always have greater access and coverage. Now In The Eastern Islands Of Australia! And... they handle steep hills well, plying gradients unsuitable for trams (or gas buses, for that matter). That's why in Brisbane, the Edward St / Spring Hill tram was replaced by the #23 trolleybus in 1947. You used to have to pay money to see a freak show; now you have to pay NOT to. What I've always wanted to see is a tram with all the overhead electrics and electric motors removed, and instead replaced with the running gear from a bus. I.E 10 litre Volvo engine, coupled to a 6-speed ZF. There were tramways in the world powered by gas,compressed air,batteries,steam and petrol you remember reading about the batterie powered tram in Adelaide and Bendigo and Gisbourne New Zealand and Karachi tramways Pakistan used petrol powered trams alternative power was used in trams. B58 Howler wrote: What I've always wanted to see is a tram with all the overhead electrics and electric motors removed, and instead replaced with the running gear from a bus. I.E 10 litre Volvo engine, coupled to a 6-speed ZF. Not that there is much capacity anyway in a Combino tram. With the resurgence of trams and light rail networks taking place across the globe, maybe the humble trolley bus will too make a return in vast quantities. Metcard. Your ticket to Melbourne. They were used where hills were too steep for the trams. They went to some parts of Sandy Bay, west Hobart and as far out as Cornelian Bay. 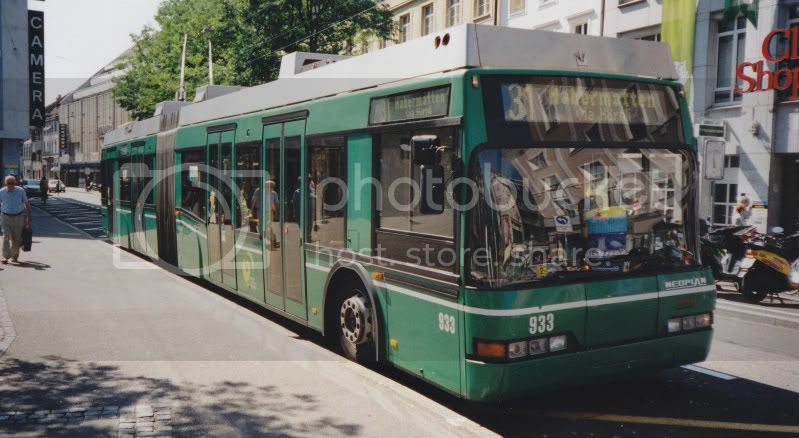 Is this what you call a trolley bus? Here!! Here!! qutas. The old BUT trolleybuses from Hobart were an awesome looking machine. Drivers I've talked to cannot praise the highly enough. Quiet and VERY responsive. Only problem was the poles coming off the wires more often than not. The steepest gradient of the trolleys, was up to West Hobart as you stated. Then main reason for the demise of the trolleys (particularly in Hobart) was the 1967 bush fires. Trolley services were ceased for a period of time because of power restrictions after the fire and THAT unfortunately was probably the start of the end. I TOO would LOVE to see the re-introduction of trolleybuses to Hobart, a lot cheaper than re-introducing trams as is the talk all the time. More flexible with services is the key, something the tram does not have (unless you pour millions and millions of $$$ into infrastructure). Anyway, only my two bobs worth!! I can recommend a late night ride in San Francisco when the traffic has died down a bit. All I can say is - make sure you don't have a weak heart! Another advantage is drivers can't drive off route as easily as a diesel bus . 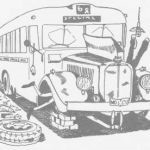 It was a shame to lose the double decker trolley buses from Kogara.They looked more modern than their diesel counterparts and ,by all accounts,ran a heck of alot smoother. Have a look at the below link for footage of the City - Kings X - Potts Pt system 1946.Nice view of a 'Q' type in service. Dave Wilson wrote: Have a look at the below link for footage of the City - Kings X - Potts Pt system 1946.Nice view of a 'Q' type in service. Clip 1 with Kruse in his truck on the Birdsville track was better value. Uncle Travo wrote: Is this what you call a trolley bus? Thats what you now called a non-operational trolleybus since the Edmonton system was shutdown by the f%^*nuts in charge of that city. At least Vancouver is still going and expanding. Deanes 5013 wrote: Another advantage is drivers can't drive off route as easily as a diesel bus . But it does not stop impatient trolly bus drivers passing stopped trolly bus drivers loading passengers... As I witnessed in Wellington NZ about 20 years ago... RESULT = Mangled trolley poles and 1 bus totally disabled and lifeless !!! Location: On my seat behind the Windscreen!! Damm,I wish they'd sell these surplus buses to Wellington!!! BT-Otto wrote: As I witnessed in Wellington NZ about 20 years ago... RESULT = Mangled trolley poles and 1 bus totally disabled and lifeless !!! do you have any photos? keen to see them!! !